The ingredients in commonly used Vicks VapoRub can irritate the airways and increase mucus production. Dr. Rubin, says it can be significant in infants and young children (under 2) who have very small airways to begin with. And when those pipes are already inflamed from a cold or other infection, a little bit of extra inflammation and mucus may narrow them quickly and severely. Drop in two tsp of essential oil such as peppermint oil or eucalyptus oil into small dish. Add a couple spoonfuls of coconut oil to the essential oil and mix it together. Warm up the oil by taking it in your palm and rubbing it until the friction in your hand makes it warm. 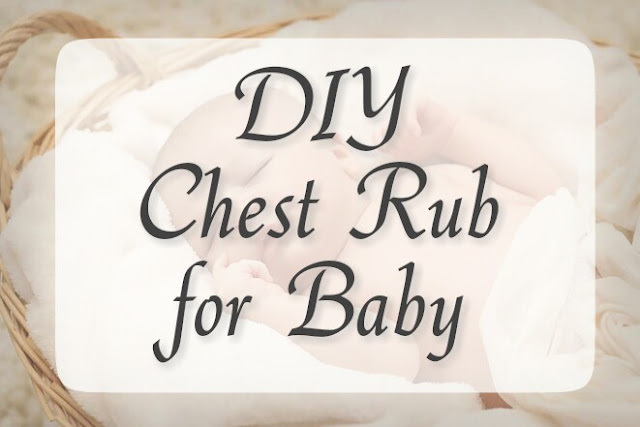 Rub it on your baby’s chest, bottoms of feet, and under nose as a natural and safe alternative to a common department store brand chest rub. Many mommies also choose rub a mixture of coconut oil and essential oils onto their child’s chest for relief from croup, a common respiratory problem in babies.